A collection as a symbol of the exceptional power of art evolving from dialogue with the viewer: 20 years of passion reflected by numerous works of international artists. 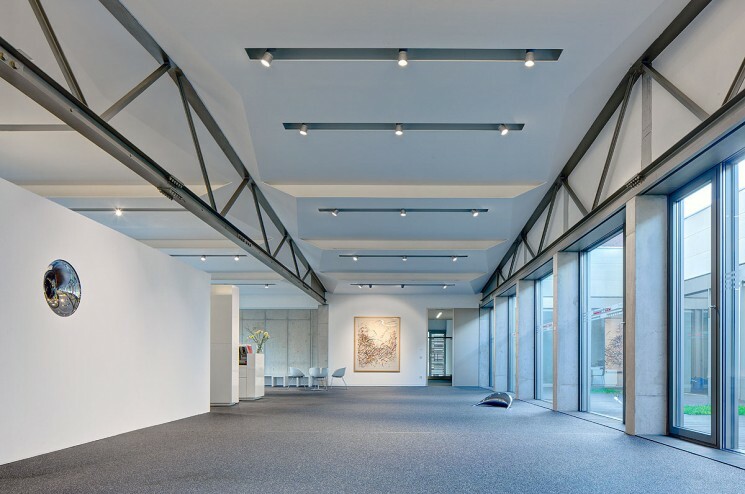 This makes the collection one of the most important private collections of contemporary art in Germany. And nonetheless it is completely different: There are no favoured media, painting meets photography or sculpture, no preferred regions or eras. Major works of established artists are collected alongside emerging talents. Christian Zimmermann is interested in human, societal, and political depths and challenges but also in poetry, beauty and transience. At the same time he is fascinated by diverse cultural landscapes: largely unknown art from China or Africa as well as path-breaking works from Europe or North America. A collection came into being that has a perceptible singular aesthetic and very personal impression, a collection, which deliberately seeks and finds the dialogue between well known and young artists, media and cultures, between works and viewers. By working with Bettina Kames, Christian Zimmermann has found a partner for the curatorial realisation of his collection. Bettina Kames worked for auction houses, art dealers, and galleries in Munich, Düsseldorf, London, Paris, Cape Town and New York. Both agree: The collection represents a non-elitist approach to art. It wants to encourage exposing oneself to art, to collect art, surround oneself with art regardless one’s background, education or financial means. Because daily contact to art enriches the personal life, thinking and feeling. It is a constant source of inspiration and as a mirror of the passing time reflects life itself and the society we live in.